OPERATION YES by Sara Lewis Holmes is one of a number of new books just out that focus on issues relating to war in the Middle East. The conflicts in Iraq and Afghanistan are touching more and more lives here in the U.S., and many authors have taken on the challenge of including these current events in their new novels. OPERATION YES takes place here in the States on an Air Force base. Bo's father is one of the commanding officers at the base, and Bo attends the base school. Not a model student, Bo is not looking forward to the new school year, but he has promised his father he will at least try to behave. Miss Loupe is a new teacher at the school. One of the first things she shares with her students is the fact that she and her brother Marc once lived on the base and attended the school where she now teaches. Bo becomes fascinated with Miss Loupe's teaching strategies as he watches her actions on his very first day in her class. All the students are surprised and puzzled as they watch her tape off a large rectangle on the floor of their classroom, and then drag in an ugly, old couch. The taped off area and the ugly couch soon become the center of their afternoon activities. Miss Loupe is a master of improv theater, and she is determined to get each of her students involved. Something else new in Bo's life is the arrival of his cousin Gari. Gari's mother, a nurse, has been deployed to Iraq, and Gari has come to live with Bo and his family on the base. She isn't happy about leaving her Seattle home and friends to trek across the country to the east coast, and it doesn't help that she is worried sick about her mother's safety in Iraq. Gari quickly begins hatching a plan that might either get her sent back to Seattle or bring her mother home. Bo is also dealing with deployment issues. Just when he is starting to like school and his new teacher, it's possible that his father may be sent to Afghanistan at the end of the year which would mean another in a long history of moves for the family. Bo doesn't want to hold back his father's career, but he would do just about anything to remain with Miss Loupe and participate in her theatrical experiments. OPERATION YES takes readers into one teacher's unique classroom to witness students becoming excited about learning. Those same students face the emotional challenges of having direct connections with war and some of the toughest times for U.S. military personnel. This book provides needed subject matter for today's tweens and could be easily used to promote lively classroom discussion about war, service, and the relationships affected. Here's one I hope to read soon. AL CAPONE SHINES MY SHOES by Gennifer Choldenko. I really enjoyed AL CAPONE DOES MY SHIRTS. It combined such unique elements and was a pleasure to read. When I first moved here, I thought all the bad guys were on one side of the bars and all the good guys were on the other. But lately, I’ve begun to wonder . . . Moose’s family moved to Alcatraz so his father could work as a guard and his sister could attend a special school in San Francisco. Living on an island with a few hundred no-name hit men, con men, and mad dog murderers (and a handful of bank robbers, too) has its challenges. Like Officer Darby–who seems to have it in for Moose; Jimmy–who feels jealous of Moose’s baseball friend Scout; Annie–who demands that Moose fess up to a secret that could get his family kicked off Alcatraz; and Piper, the warden’s cute, danger-loving daughter–who is as mad at Moose as often as she is sweet on him. By comparison, Willy One Arm and Buddy Boy, the cons who work at the warden’s house, and Seven Fingers, the ax murderer who helps his family out when their toilet is stopped up, don’t seem all that bad. But the line between good and bad is much clearer than Moose realizes. And if he doesn’t figure it out soon, he could be in a world of trouble. Here's my TEASER TUESDAY #17. Once again the idea is the original creation of SHOULD BE READING. 2. Let the book fall open to a random page. 3. Share with us two "teaser" sentences from that page, somewhere between lines 7 and 12. 4. You also need to share the title of the book that you're getting your "teaser" from. That way people can have some great book recommendations if they like the teaser you've given! 6. Than add yours to the list at Should Be Reading. "The students gawked. Their teacher was a trim woman with confident shoulders, a clean face, and an amazing total of twelve tiny hoops hugging the curves of her ears, but she still looked ridiculous, because her head was below their feet and her khaki-clad rear was bobbing up and down." How many times can someone tease and taunt and call you Death Sister before you crack? How many times can someone poke you in the chest and call you a freak before you retaliate? Valerie and Nick have a "hate list." It started one day when Valerie had had enough from the kids at school and her arguing parents at home. She started a list, and when she showed it to Nick, he thought it was a great idea. Their list grew and filled a notebook. It helped ease the feelings they had about being on the outside, of being different in a high school where being the same was considered being popular. The tragedy was that Valerie thought she knew Nick. They had spent three years together. She knew he loved Shakespeare and lying under the stars at night. What she didn't know until it was too late, was that Nick had a plan. He brought a gun to school. He shot the gun, killing and injuring their classmates and teachers. When Valerie finally stopped him, he shot her and then turned the gun on himself. Nick is dead leaving Valerie to carry on. After months of physical and psychological recovery, she is attempting to return to school. Will students welcome her back as a victim or a villain or a hero? HATE LIST by Jennifer Brown is the powerful story of a school shooting and the survivors. Valerie's story reveals the devastating toll such a tragedy takes on family and friends. Readers will watch her struggle to return to her life confused about herself, the person she thought she loved, and her new position in her family and her community. Brown artfully reveals the details of the tragic shooting gradually through newspaper accounts, police interviews, and witness interpretations. Everything is held together by Valerie's tortured post-trauma experiences. A lesson in the cold, hard reality of human nature, HATE LIST is not to be missed. Breeze wasn't really looking forward to the start of eighth grade. It's hard to get excited about the some old thing. Plus it is hard to fit in when you have crazy, wild red hair, feet the size of canoes, and you're taller than anyone who has ever attended Whispering Springs Middle School. In fact Breeze has a list of complaints about her life. She has a beautiful and popular older sister who has petite size six feet and is head of the varsity cheerleaders. She has an annoying brother named Noah. Add to the list the fact that she wears braces, finds her name an embarrassment, and that she'll be having her mother as a teacher this year, and you've pretty much completed her list of grievances. With all this working against her, imagine Breeze's surprise when she meets Cam. How lucky can she get to have the cutest guy ever suddenly attending school in her tiny town, and besides that, he doesn't seem to be immediately repulsed by her flaming hair and overwhelming height. With the encouragement of her best friend Amy, Breeze attempts some changes to attract Cam's attention. However, when trying out for an opening on the cheerleading squad ends with a badly sprained ankle and an attempt at a makeover ends in disaster, Breeze is ready to forget the whole thing. JUST BREEZE is a fun read about the perils of middle school. It covers the territory quite completely with the struggle to fit in, annoying parents, even more annoying siblings, and the search for true love. Author Beverly Stowe McClure brings Breeze to life for the enjoyment of middle grade readers everywhere. Don't forget to enter my 100 FOLLOWERS CELEBRATION CONTEST. The winner will receive a copy of LOVE SICK by Jake Coburn. Ted's drunk-driving accident has ruined his life. it cost him his basketball scholarship, ended his plans for college, and forced him into AA. but just when ted has resigned himself to his new life, Michael appears. the wealthy father of a bulimic Manhattan rich girl has a tempting proposition. He has agreed to pay for Ted's college tuition, but there's one catch. ted has to secretly keep tabs on his benefactor's daughter, Erica. A seemingly simple task, with only one minor problem: Ted never expected to fall in love. All you have to do to enter is comment and leave me an email address so I can contact you if you are the lucky winner. Earn an extra +2 entries if you are already a follower or an extra +3 entries if you become a new follower. *Open to US and Canadian entries only. **A winner will be randomly chosen on November 1. Life hasn't been easy for Ethan. He had to leave his last foster home after Mrs. Girardi had a heart attack. Now he's living with Mr. and Mrs. Ashdale. They are nice folks, and thanks to them, he's no longer involved with the Nine Eight gang. Ethan is spending the summer taking pictures. He is part of a new program at the local community center called Picture This. Just about every minute of every day he's got his camera in hand and is taking photos of everything. When he finds himself the victim of a mugging-style attack in a back alley, Ethan refuses to hand over his backpack because he can't imagine parting with his prized camera. He escapes his attacker and thinks of the incident as a random event until several days later someone breaks into the home of his foster parents and ransacks the place. Several other incidents occur including a shooting that seems to have him as the intended target. As the police become involved, Ethan begins to feel more like a suspect than a victim. His earlier gang involvement has law enforcement officers thinking he must be up to something to have guns firing in his direction. Ethan is determined to figure out what is going on and at the same time, protect his life with the best family he's ever had. As long as Mr. and Mrs. Ashdale continue to believe in him, he is confident that things will work out. At just over 100 pages, PICTURE THIS by Norah McClintock offers readers an amazing amount of action and mystery. Ethan is portrayed as the typical at-risk, big city teen trying to improve his life. Readers will cheer him on as he works to hang onto his new life. CHECK OUT THIS GREAT NEW BLOG! Stop over at the new TRT BOOK CLUB blog. 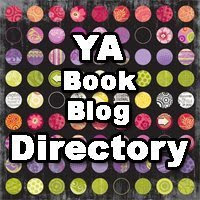 Developed in connection with Jen Wardrip's fantastic book review/contest website known as Teensreadtoo.com, the new TRT BOOK CLUB will feature guest authors. There is already an incredibly impressive list of the authors signed up to participate, so pop over and check it out. Be sure to become a follower while you're there, too. It's been a year since the death of her boyfriend Logan. Hannah is struggling to put her life back together. One thing that helps a little is her job at the local drugstore. She has gotten to know the regular customers; even grouchy old Maude O'Connell who insists Hannah call her M.C. The woman's strange little dog named Kitty just adds to her eccentricity. One day while on her break, Hannah is stung by a bee. Imagine her surprise when she learns she is deathly allergic and ends up having a near-death experience that lands her in the hospital. In the middle of her emergency, she remembers M.C. and Kitty lending a hand to comfort her, and when the excitement settles down, they are crediting her with healing them. M.C. still needs her walker, but she is noticeably more spry than before, and the ancient Kitty is suddenly full of doggie energy. Hannah tries to avoid the crazy idea that she had anything to do with their improved health, but when something similar happens again during her cooking class, she realizes there may be something to it. The more she focuses on each individual event, the more she remembers. There was a tingling feeling followed by a soft feeling and renewed energy. She also must admit that the voice of Logan spoke words of encouragement during each episode. All this is difficult to talk about. Most people, except for M.C., don't take her seriously. Is what she's experiencing a miracle or some sort of strange curse? Laura Langston's HANNAH'S TOUCH offers a quick glimpse into the world of miracles. It's an easy, fast read most teens will enjoy. If you are looking for a good thriller, look no further. WISH YOU WERE DEAD by Todd Strasser has everything you're looking for. When a popular teen from a wealthy, gated community disappears right off her front lawn, everyone is scared. Then when two more teens disappear within the same week, panic sets in. Madison has always liked being part of the "in" crowd, but she hesitates and tries to distance herself when they start bashing the less fortunate students in her affluent high school. When her friend Lucy disappears after being dropped off at her house by Madison and her Safe Ride partner, she feels guilty. The rules of Safe Ride state that the person being dropped off should be witnessed entering his/her home. Madison was pretty annoyed with Lucy and her better-than-everyone attitude that night, and when Lucy stubbornly continued to hang around on her front walk, Madison and Tyler just left her. Now Lucy is gone. Did she run off with her boyfriend? Is she just trying to scare everyone? Or was she kidnapped? When there is no demand for a ransom, people begin to suspect more sinister motives are involved. Madison is not the only one feeling guilty. The creator of a blog known as Str-S-d is having second thoughts about her actions. Frustrated with the ever popular Lucy and her superior attitude, Str-S-d admits that she wishes her dead. Could someone have read her post and taken it seriously enough to actually kill the girl? And is it coincidence when Str-S-d expresses similar death wishes about the other two missing teens? Add in the attractive, yet mysterious new student, Tyler and the strange messages Madison keeps finding from someone known only as PBleeker, and the suspense builds quickly. Todd Strasser is at his best in WISH YOU WERE DEAD. It provides just the edge-of-your-seat action teens love. Happily, it appears to be the first of three similar stories. Can't wait to get a look at the next one. I've started a new Wednesday post about books I would like to read. These books may not be new, up-and-coming releases; they might be books that have been available for years. The idea behind my WEDNESDAY'S WISH I HAD THE TIME post will be to highlight books I'd really like to get around to reading one of these days. This week's pick is GUYAHOLIC by Carolyn Mackler. It is the sequel to VEGAN VIRGIN VALENTINE. I enjoyed VVV when I read it quite some time ago, so I'm looking forward to GUYAHOLIC. It is definitely in my TBR pile. Sometimes it takes getting hit with a hockey puck to help you see what’s good for you! Carolyn Mackler is back — and V is off on a solo road trip — in this funny, poignant follow-up to VEGAN VIRGIN VALENTINE.V Valentine is the queen of meaningless hookups. Ever since her mom dumped her with her grandparents, she has bounced from guy to guy. But in the spring of senior year, a fateful hockey puck lands her in the lap of Sam Almond. Right from the start, things with Sam are different. V is terrified to admit it, but this might be meaningful after all. On the afternoon of graduation, V receives some shocking news. Later, at a party, she makes an irreversible mistake and risks losing Sam forever. 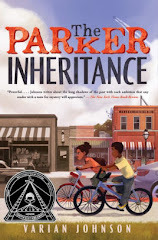 When her mom invites her to Texas, V embarks on a cross-country road trip with the hopes of putting two thousand miles between herself, Sam, and the wreckage of that night. With her trademark blend of humor and compassion, Carolyn Mackler takes readers on an unforgettable ride of missed exits, misadventures, and the kind of epiphanies that come only when you’re on a route you’ve never taken before. Here's my TEASER TUESDAY #16. "It's some weird policy they have for teenagers. They don't start to investigate unless you're gone for, like, a week." Cameron's sister Katie asks him to do her a favor. "Just do this one thing," is what she asks, followed by, "Don't tell anyone." He's not happy to be riding through the woods in the rain, but Katie looked kind of freaked out. When Cameron stops for a moment, he hears something. He listens carefully and hears it again. It sounds like crying. It is crying. In fact, it's a baby! Cameron can't believe he has found what looks like a newborn wrapped in blankets out in the woods. He wraps it in his sweater and zips it inside his coat and bikes out to the road. After a few tries, he gets a car to stop and pick him up. Luckily the driver is a nurse. She quickly checks on the baby and heads to the nearest hospital. The good news is the baby will survive. The bad news is Cameron is pretty sure he knows whose baby it is. He cautiously answers questions from doctors, a social worker, and the police, but the answer they all want to hear, he keeps to himself. IN THE WOODS presents the distressing scenario of an abandoned infant. It's a story all too common in the news today. Author Robin Stevenson brings this grim reality to life as she describes Cameron's struggle to face the truth about his sister. Only 124 pages long, IN THE WOODS takes readers quickly into the emotionally charged situation, and keeps them on the edge of their seats right to the end. JACKED is a fast-paced, easy read by Carrie Mac. Zane is just starting another boring shift at the gas station. He figures he'll be selling cigarettes and snack items for the next few hours without much in the way of excitement. Then he gets the bright idea to lock up the store for just a few minutes so he can head over to a neighboring restaurant for a quick burrito. As Zane hops into his car already thinking about the burrito and the cute waitress about to serve him, he is shocked when a masked man slides into the passenger seat beside him. Before he knows it, he has a gun pressed to his temple and he's being told to drive. He heads out onto the street and is soon instructed to pull onto an on-ramp and then the freeway. Thoughts whirl through his mind as the gunman gives directions. Should he try to speed and get stopped by the cops? Should he make a grab for the gun? Zane tries to get the guy talking. Although he doesn't reveal much, Zane is beginning to think maybe he knows this guy. He is definitely nervous and maybe high on something, but he takes Zane by surprise when he demands they head off the freeway to a hospital. JACKED will have instant appeal for reluctant readers. It gets right into the action and keeps things pumped up right to the end. Written in a high interest/low level style makes it a great motivator for further reading. Dauphin "Phin" lives a life of luxury. He lives in the Chadwick stables located right in the heart of the city. His stall is actually located in the penthouse. Phin was rescued from the carnival circuit. Instead of carting around annoying carnival children in poor working conditions, Phin now trots through the city park carrying his young owner. Together they have won prizes for the prettiest pony and the best rider. Things are about to change for little Phin. He may be the same spry little pony, but his young owner is growing and maturing and is no longer comfortable on a small horse. She is moving up to a larger horse which leaves Phin without a rider. It doesn't quite sink in at first, but when he is packed up in a shabby trailer and transported out of the city, he begins to realize he may be headed for a different life.Phin arrives in the countryside at a place known as the Funny Farm. He is no longer a resident of a fancy penthouse, but rather one of a group of mangy looking misfits who share a small barn, coop, and meadow. Phin finds himself living with goats, rabbits, chickens, a camel, an emu, and a water buffalo just to name a few. Can Phin find friends among this quirky group? Is it possible that this life can become just as rewarding as his city life? LITTLE PRINCE is one of the books in the new Breyer Horse Collection series. Animal lovers will surely enjoy this fun tale about a little horse and his wacky new friends. Author Annie Wedekind gives voices to her interesting collection of animals that will give them great appeal to young readers. LITTLE PRINCE is excellent for independent readers and perfect as a read-aloud for any age. 100 Followers!!! I can't believe it. I'm having a contest to celebrate. 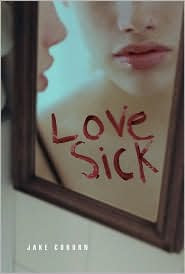 Win a copy of Jake Coburn's LOVESICK. Will Carter, everyone calls him Carter, is about to start his freshman year, and he doesn't know if he is ready. He knows he's ready to have more freedom and meet some hot high school girls, but he's got some problems that just might get in the way of a successful high school debut. Carter has an occasional stuttering problem and he suffers from ADD. Carter is not entering the high school world alone. His friends, EJ, Bag, Hormone, and Nutt are there to support him. Not that they are more experienced with how to be cool or how to handle hot chicks, but at least they are all in the same leaky boat about to set sail in uncharted waters. As the final weeks of summer are winding down, signs are not exactly pointing to a trouble free entry into ninth grade. A mishap at the local pool almost earns Carter the new nickname of Slappy when he nearly kills himself attempting a gainer off the high dive. His life is also in danger when his effort to bulk-up for football ends with a hundred and fifteen pound barbell crashing onto his chest. Fortunately, upperclassman and football star, Nick Brock, shows up in time to lift the weight with one hand to unpin Carter. One hilarious and often humiliating event follows another in this all-too-real account of one teenager's freshman year. There's dating advice from an older sister, the first high school party, the pressure of team sports, dating and dances, and managing ADD enough to deal with classes and homework. Carter is a good kid attempting to make good choices but having practically every situation backfire causing enough confusion and frustration to crush even the most determined among us. However, Carter valiantly carries on, learning important life lessons that help him understand and value himself and others. In CARTER FINALLY GETS IT author Brent Crawford has created a high school experience that will have readers laughing out loud and nodding in agreement. Carter’s high school adventures are hilariously familiar for those who have already experienced the memorable high school years, and hopefully reassuring for those about to enter that life-changing phase. Crawford's great storytelling and non-stop humor hooked this reader by the end of the first chapter and made this the funniest book I've read in a long time. I've started a new Wednesday post about books I'd like to read. These books may not be a new, up-and-coming releases; they might be books that have been available for years. The idea behind my WEDNESDAY'S WISH I HAD THE TIME post will be to highlight books I'd really like to get around to reading. This Wednesday's selection is in honor of some of my former and current female students. The PRETTY LITTLE LIARS series by Sara Shepard has been flying off my classroom bookshelves. The girls just can't wait to get their hands on the next one as soon as it comes out. They are always asking me if I've read the books, and sadly, I have to say no. I meant to get around to it over the summer, but review commitments took most of my reading time. So this Wednesday I'm officially putting them on my WISH I HAD THE TIME list, and I'm promising myself I'll make the time to see why Sara Shepard has captivated my 8th grade readers. Here's my TEASER TUESDAY #15. "I'm starting to get into this movie about a dude who builds his own airplane, and his crazy mom, whent I feel a little rumble just above my belt line. The tremor goes south and is trying to brew itself into a monster fart that will ruin my chances with Abby." Beth Kephart fans are not going to happy with this review. Don't get me wrong, the book is terrific, but it isn't scheduled for release until the end of March 2010. It is definitely worth waiting for, so put it on your wish list. It seems that more and more one hears about teens going on work experience trips to underprivileged countries. There always seem to be fund-raisers going on and pledge drives to send someone or other off to help build houses or clean up after a flood or earthquake or hurricane. Beth Kephart uses one such trip as the backdrop for THE HEART IS NOT A SIZE. Georgia convinces her parents to let her travel with a group to Juarez, Mexico, to help improve life for those living in a devastatingly poor area of the border town. Despite the poor living conditions and threats to personal safety, Georgia believes she can make a difference. Leaving behind her comfortable life in Pennsylvania, she spends her time under the hot Mexican sun building, of all things, a community toilet for the local natives. Going along for the experience is Georgia's best friend Riley. Giving up the comforts of home are harder on Riley who enjoys shopping and looking her best at wherever she does. Georgia knows she'll be able to handle the heat and the hard physical labor, but she has her doubts about Riley. There's been something bothering her about her best friend, but she hasn't been able to confront her. Georgia knows that Riley is constantly striving to live up to her mother's high expectations. In an effort to please her mother, Riley seems to have stopped eating. Georgia knows what is going on but doesn't know how to deal with the problem. She has hopes that the time together will give her an opportunity to rescue her friend. Kephart's writing simply flows as she explores the emotions of friendship, the tragedy of poverty, and the importance of giving. Readers will easily relate to Georgia as she struggles to help a friend and finds it more difficult than she dreamed. What do you get if you take two kids, a kidnapped grandmother, a pearl necklace, and Men in Dark Suits? You get action and adventure! BLAME IT ON BARBARA has a little something for everyone. Barbara is used to being the one blamed for everything. As one of five children in a busy family, she usually feels invisible, but when something goes wrong, she always seems to be the one who gets the blame. When Barbara hears that the grandmother who shares her name is coming to visit, she thinks it might bring a welcome change for the family. She doesn't really understand the negative attitude other family members have about this particular grandmother. How could any grandmother be a problem? Not long after her grandmother arrives, strange things begin to happen. Barbara, not usually one to make friends easily, finds herself being approached at school by a boy named Jesse. He considers himself a bit of a juvenile delinquent. His wealthy parents have sent him to live with his grandmother in hopes that he will straighten up. He may be living with a hard-of-hearing elderly old woman, but his parents has made sure he's not wanting for anything. Barbara cautiously begins a friendship with Jesse. Then Barbara's grandmother goes missing. It's unclear whether she's been kidnapped or just run off, but which ever the case, Barbara seeks out Jesse's help to get to the bottom of it. As they begin to investigate, they run into the Men in Dark Suits, the Man with the Glass Eye, and a pearl necklace imprinted with top-secret information. Barbara can't believe it when they discover her grandmother is a CIA agent. 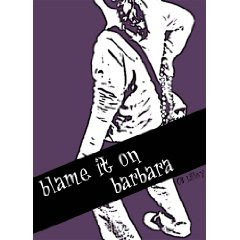 BLAME IT ON BARBARA is filled with fast-paced adventure, spies, dark warehouses, and gunfire. Barbara and Jesse are living every kid's dream of chasing after bad guys and saving the world. Kyra Sellers is back, and if people know what's good for them, they will keep their distance. Her mother has died of cancer, and even her special relationship with Fanboy couldn't keep her life from spiraling out of control. If he hadn't told her father about the bullet, her innermost thoughts would still be hers. After spending six months under psychological observation in a facility of her father's choosing, Kyra is back at home and expected to resume regular life. Her father has suicide-proofed the house so she can't even shave her legs, and all he wants is for her to behave herself at school. It all just reminds her of how much Fanboy let her down. He said he'd email and stay in touch, but she never received a single contact. Now she's learning that while she was gone, his life went on. He seems to be everyone's hero, and he's rewritten his comic and is actually choosing to publish it in installments in the school literary rag. Kyra uses her rebel skills to annoy everyone as much as possible. She refuses to be drawn into heart-felt conversations with her father. Instead she blames him for her mother's death, and in an effort to shock him, shaves her head. As far as her behavior at school, it's nearly impossible to honor her promise to "be good." The teachers irritate her, the principal has unrealistic expectations, and Fanboy has been sucked into a situation with his comic that she just can't respect. Almost immediately Kyra reverts to yelling matches with her father, sneaking out at night, and stealing cars. Plagued by memories of her mother's lingering death, Kyra fights the urge to seek help from her therapist and her friends. How far will she go before she hurts herself or others? Barry Lyga adds this sequel to THE ASTONISHING ADVENTURES OF FANBOY AND GOTH GIRL to his growing list of impressive YA fiction. What impressed me most about his creation was his ability to get inside Kyra's head to give readers a vivid view of her emotional upheaval. The suggested audience is 14 and up, which is sensible given its straight-forward, gritty characters and rough dialogue. However, this isn't in anyway a fault of the book since Lyga keeps true to the unique voice of Kyra that he created in the first Fanboy/Goth Girl book. Previously I've been posting a meme called "WAITING ON WEDNESDAY." Many bloggers post something similar. I'm not even sure where I saw it for the first time. The idea of "WAITING ON WEDNESDAY" is to indicate which book, yet to be released, you are excited about reading. Well, there are tons of books out there I'm excited about reading! The thing is I can't possibly fit them all in, and even if I had unlimited time for reading, I'd never be able to afford to purchase the books, and frankly I'd probably drive my public library crazy if I tried to request them all. I've decided to continue posting every Wednesday about a book I'd like to read, but that book may not be a new, up-and-coming release; it might be a book that's been available for years. The idea behind my WEDNESDAY'S WISH I HAD THE TIME post will be to highlight a book I'd really like to get around to reading. With that said, here's my very first WEDNESDAY'S WISH I HAD THE TIME.... selection. Jonah is on a mission to break every bone in his body. Everyone knows that broken bones grow back stronger than they were before. And Jonah wants to be stronger—needs to be stronger—because everything around him is falling apart. Breaking, and then healing, is Jonah's only way to cope with the stresses of home, girls, and the world on his shoulders. When Jonah's self-destructive spiral accelerates and he hits rock bottom, will he find true strength or surrender to his breaking point? Here's my TEASER TUESDAY #14. "Where did you hear that?" he asked, but he asked it in the weird way people have when they already know the answer. Like he was stalling for time because he didn't want to answer. Anke isn't sure why she feels so jealous of her brother and sister. She just knows that when it comes to her father's attention, she feels invisible. How can she be jealous of the attention her siblings receive when that attention is from their father's abusive hand? There are some pleasant memories of her father. He used to sing to her and play with her, but more recently, he ignores her. Even though he quietly disapproves, Anke has joined the volleyball team. Her height and strength are proving to be great assets to her team. This new-found athletic success is giving Anke the strength and courage to assert herself in other areas. She has been able to summon the courage to speak to Kyler instead of just admiring him from afar. She is also questioning how her father's violent behavior at home can continue without being reported by her mother or brother or sister. Compliments from her coach and teammates, along with increasingly improving grades don't even earn Anke praise from her father. He rules the family like a tyrant leaving bruises and emotional scars in his wake. When Anke's friend becomes a victim of his cruelty, she is no longer able to simply watch and witness. She uses her quiet voice to speak the truth and save her family. Written in verse, BECAUSE I AM FURNITURE speaks of the horrors of abuse witnessed by one young girl trapped by the power and influence of a vicious father. Thalia Chaltas takes readers into the life of one family to illustrate an example of the abusive behavior that is unfortunately not limited to just a few. Her story is powerful and heart-breaking, but because of one girl's courage, also inspiring. Amy dreams of becoming a journalist, but fears it might be that - just a dream. Even though her parents want the best for her, the cost of college, at least the college she hopes to attend, is not something they can afford. Then a job with an amazing paycheck becomes available. Amy is going to babysit. Her charge's name is Tristan, but there's a catch. Tristan is about to graduate from high school just like Amy. The reason he needs a sitter is because he is blind. A horse jumping accident combined with an inherited condition involving weakened retinas have left Tristan without his sight. His mother hires Amy with the hope that someone his age can convince him to take the steps necessary to resume a more normal life. Once Amy begins hanging out with Tristan, she learns things are more complicated than just his loss of sight. He is also grieving the sudden death of his father and the guilt that their relationship was not at its best. Amy has her own family struggles. She tells Tristan about her mother's eccentric behavior of fixing family meals to include a son who left home 10 years ago. Although the job pays extremely well, Amy begins to realize money isn't the only thing that keeps her coming back. As Tristan begins to make small gains in adjusting to his new life, a relationship develops that goes beyond employer/employee. Since their lifestyles are completely different, Amy hesitates to get too close, but soon it just might be beyond her control. HIS EYES is the first novel for Renee Carter. Readers will sense the chemistry between Amy and Tristan immediately. Carter fills out her cast of characters with family members such as Tristan's funny younger brother and cute little sister and an annoyingly self-centered ex-girlfriend named Lexus. Although at times predictable, HIS EYES offers a fast-paced read for readers looking for a bit of romance. THE CYBILS NOMINATIONS ARE OPEN!!! Hey, all you bloggers out there! The Cybils 2009 nominations are open. Now through October 16, head on over to place your nominations in some great catagories from early readers on up to young adults. Click here and look for their niffy new nomination form. Hurry before nominations close! Announcing the winner of THE LIGHTNING THIEF contest. I'll get your prize to you ASAP! Enjoy! !